Figure 9. 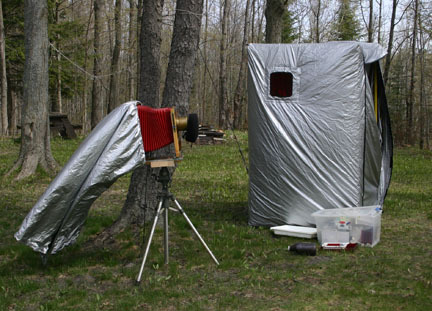 A lightproof tent of my own design used for doing field work with wetplate. The camera is an 11x14 Burke & James Commercial View with a Dallmeyer 3A Patent Portrait lens.